It is not uncommon that a family’s sleep schedules will change when the kids are out of school each summer. Since their kiddos don’t have to get up super early, parents tend to get a little more lenient regarding what their child’s proper bedtime is. While this is fine when your kid doesn’t have to head to the classroom each morning, these changes in sleeping schedules can have a lasting impact on your child once school is back in session. Sure, it may not seem like a big deal, but getting enough quality sleep is one of the best ways a child can improve their performance in school. This is why returning to a normal sleep schedule after summer is so incredibly important for a young person. 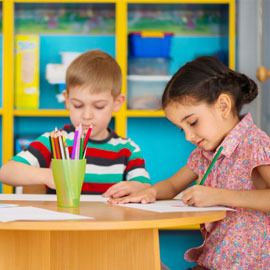 In this post, First Class Child Development has compiled some tips to help make the transition from summer to school much easier on you and your little one. Continue reading below to learn more. While you may be able to recognize yourself getting cranky when you have not had enough sleep, it has been proven that children react much differently to being tired than adults do. This often leads to parents being confused about their child’s behavior. Adults, when tired, tend to get drowsy when they are running low on rest. On the other hand, rather than having less energy, children tend to act out when they are in need of sleep. This can make parents think that their kids aren’t tired when they, in reality, are not getting enough sleep. Another key piece of information to remember when you are trying to return your child to a proper sleep schedule before school starts back up is that kids learn by example. This means, your sleep habits have a major effect on your child and what they think is the proper amount of sleep to feel rested. This isn’t all bad either, as you may find that you are able to get a few more hours of sleep each night as you model for your child. While you might be tempted to let your kiddos enjoy every last bit of summer by letting them stay up past curfew up until the night before school starts, we would not recommend it. It’s important that your child can get back into a proper sleep schedule gradually as this is how habits are made. We would suggest that you start adjusting their sleep schedule about two weeks before they have to head back to school. Start by making bedtime earlier by five to fifteen minutes each day (depending on how late your child has been staying up). 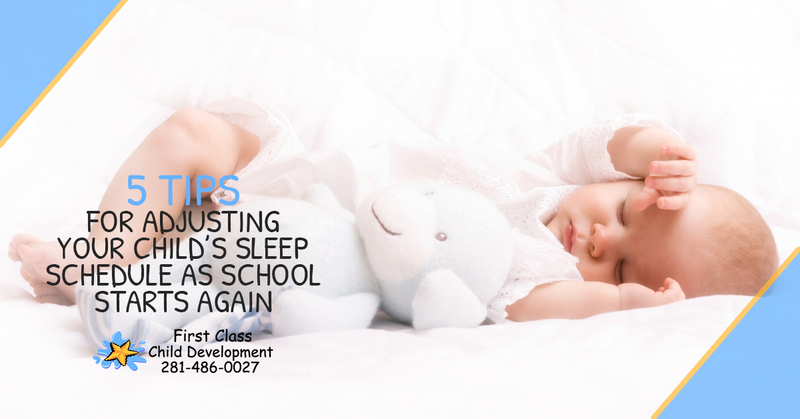 This will allow for your kid’s circadian rhythm to adjust naturally to the new sleep time and schedule. 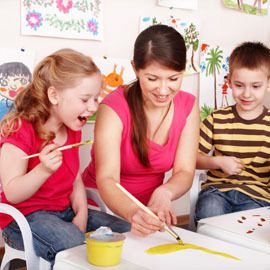 There are certain activities you can do before bedtime that will help to calm your child. Things, like having bathtime or reading a bedtime story, are always a good way to reduce noise in your home, creating an atmosphere that is proper for sleep for your child. If you continue to repeat these rituals, your child will begin to associate them with sleep. Another good idea is to not allow electronic devices to be used right before or while in bed. The blue light of these devices can cause wakefulness in your child. Every parent has dealt with their child throwing a tantrum about having to go to bed. The good news? If you follow all of the tips we have already laid out for you and stick with them, you won’t have to deal with meltdowns before taking your child to bed. 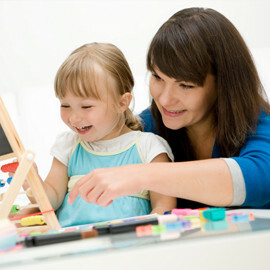 As a final tip, give your child choices regarding their bedtime routine. If they have a say in how they go to sleep, they may not put up that much of a fight about when they have to do it. Ask your child whether they want to wear their red or blue pajamas, let them choose their bedtime story, or let them pick out a cool night light or new stuffed animal to make going to bed even more enticing.